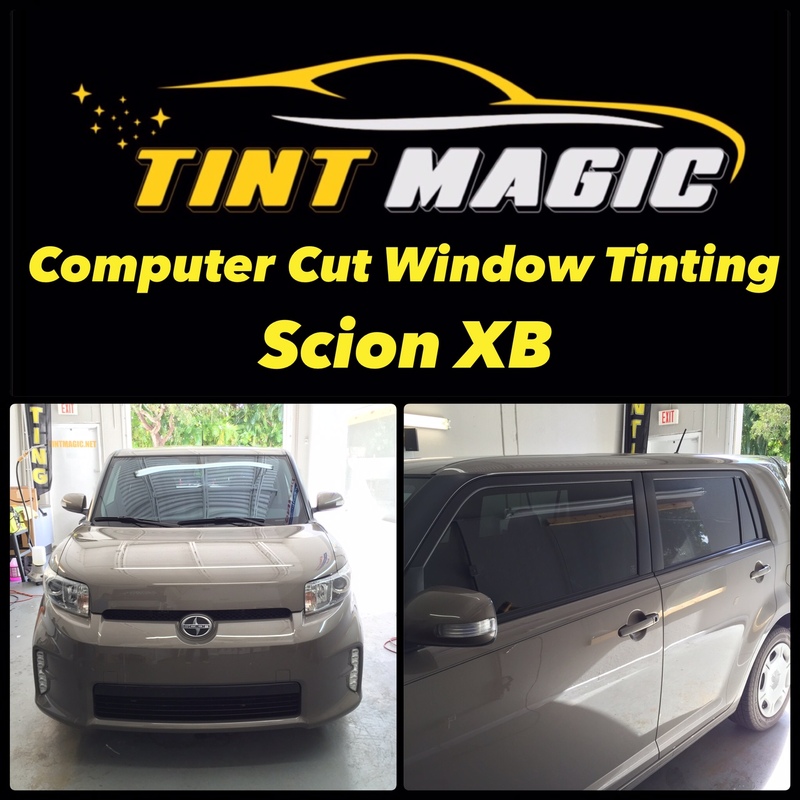 Scion XB at Tint Magic Window Tinting Coral Springs. We use computerized system to pre-cut window film and that result in a perfect fit. Call us for a free estimate! (954) 840-7883. The first-generation Scion XB was a smaller vehicle targeted at younger drivers looking for authentic Japanese-market vehicles. The current model is a larger wagon that has more in common with vehicles like the Kia Soul. But the two generations are distinct for their size, the second-generation XB being much larger. The XB is likely to be replaced by a slightly different, more conventional hatchback model soon, perhaps in 2016. The new model will be called iM and be based on the Toyota Auris, which is sold overseas. For now, the XB’s rivals are really limited to Kia’s Soul, as the Nissan Cube was recently discontinued and the Honda Element has also gone out of production. The boxy set has apparently fallen out of favor. Other small hatchbacks and wagons could also be considered competitors, including the Volkswagen Golf and Hyundai Elantra GT and perhaps the Honda Fit. The XB can be credited with igniting a trend of boxy small cars. Imitators include the Americanized Nissan Cube and Kia Soul, although Honda’s Element arrived at around the same time. Both provided an alternative to smaller hatchbacks from the Japanese and Korean automakers. The first-generation cars are looked on more favorably and are expected to become collectable one day.